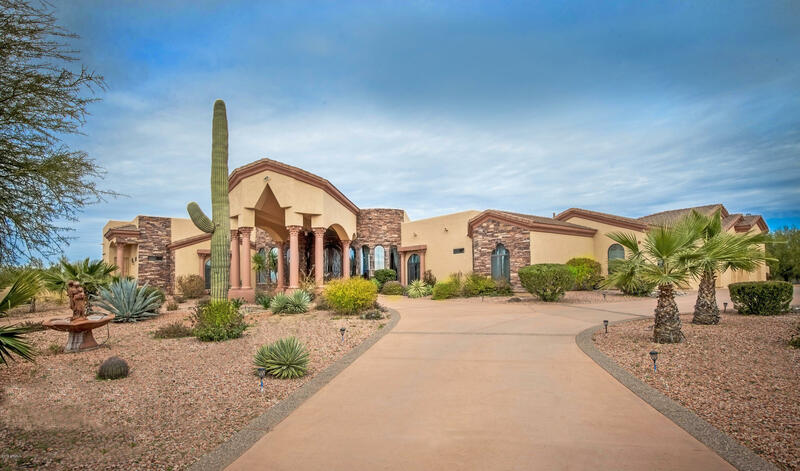 "Exquisite Scottsdale Estate with over 5,000 square feet, 6 bedrooms, 4.5 baths, pool, 4 car garage, sun deck, and a basketball court on over a 2 acre lot. Large gourmet kitchen with custom cabinets, stainless appliances, and slab counter tops. Master retreat has a sitting area and fireplace. Master bath has his and her vanities, a large glass and marble walk in rain shower, and soaking tub. Seamless glass windows throughout show the endless mountain views from every room. All new interior an"